Over the years, internationally famed singers and teachers of singing have associated themselves with this festival including Constance Shacklock (contralto and Festival President, 1985 - 1999), Marjorie Thomas (contralto), Jean Allister (contralto), Rae Woodland (soprano), Nigel Perrin (ex-Kings Singers), Mollie Petrie (soprano and Festival President, 1999 - 2015), Elizabeth Watts (soprano), Mark Wildman (bass, Henry Cummings Distinguished Professor of Singing at the Royal Academy of Music and the Festival's current President) and Lesley Garrett (our Patron). 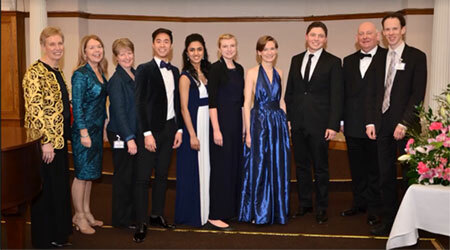 Introduced in 2016, this is a relatively new initiative in the David Clover Festival of Singing and is intended to give the opportunity to singers already studying at Universities and Conservatoires, to postgraduates and to those being privately tutored; to continue the development of their art with substantial prize money. 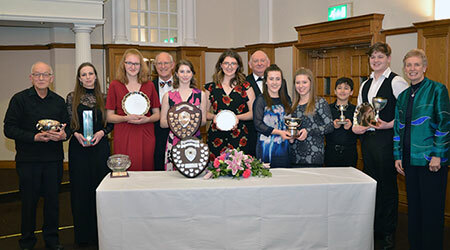 Congratulations to all the winners of the Singers' Platform 2018. The Festival is open to all singers from the age of 9 and its chief objective is to foster that branch of music-making which was ever one of David's loves - singing. He strongly maintained, as others have, that everybody has a musical instrument which can be developed - the voice. Congratulations to all the winners of the Festival Weekend 2018. Dr David Clover came to Sheffield in 1966 having been appointed as the city's Music Adviser to the Education Department. It was one of the earliest residential courses for music teachers and its daily choral sessions, organised by David, brought the first members of the Sheffield Teachers' Choir (as it was then known) together in 1968. Following David's untimely death in 1979, The Teachers' Choir committee at the time decided that there should be a fitting and lasting tribute and memorial to his work. The result, in 1979, was the establishing of The David Clover Vocal Prize, the first competition being held in 1980. The David Clover Vocal Prize later became The David Clover Competition for Singers, and in 2010 was re-named The David Clover Festival of Singing. 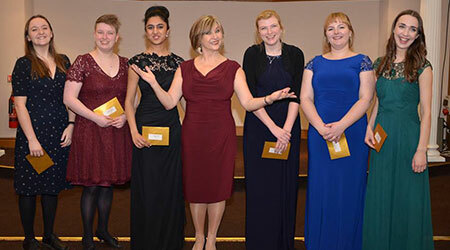 The original Vocal Prize provided an opportunity for singers to perform songs of their own choice with a view to being helped and encouraged by experienced judges of singing, and that ethos is still as strong as it ever was. 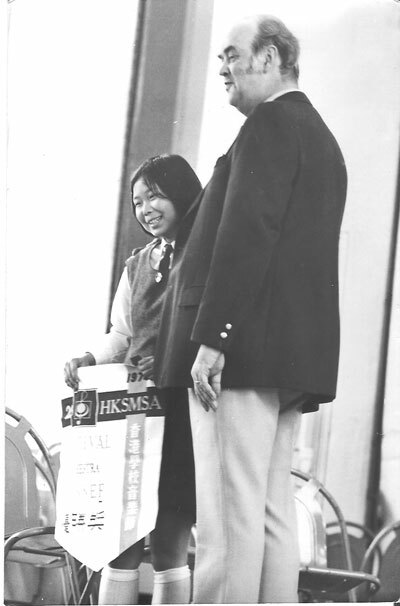 The Vocal Prize started in a small way with only two classes for those of secondary school age. Since its inception, it has grown into a competitive event of worth, high standing, credibility and stature in the eyes of discerning musicians not only in and around the city of Sheffield, but also nationally. It has also proved itself a worthy vehicle of encouragement and support for young singers, but the Festival is now open to all singers from the age of nine, and its chief objective is to foster this branch of music making which was ever one of Dr Clover's greatest loves - singing. He strongly maintained, as others have done, that everyone has a musical instrument which can be developed - the voice - and much of his work was devoted to fostering the use of young voices whether as soloists or choralists. He believed that the voice deserved equal status with other musical instruments. Over the years, internationally famed singers and teachers of singing have associated themselves with this festival including Constance Shacklock (contralto and Festival President, 1985 - 1999), Marjorie Thomas (contralto), Jean Allister (contralto), Rae Woodland (soprano), Nigel Perrin (ex-Kings Singers), Mollie Petrie (soprano and Festival President, 1999 - 2015), Elizabeth Watts (soprano) and Mark Wildman (bass, currently Head of Vocal Studies at the Royal Academy of Music and the Festival's current President). 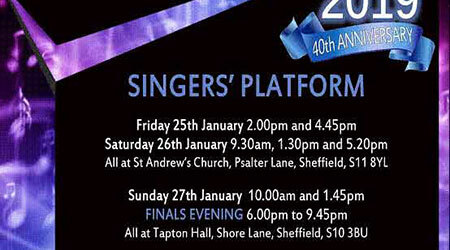 Once the annual Festival has ended, The City of Sheffield Teachers' Choir is always delighted to invite singers from the Festival to share in its concerts when possible. 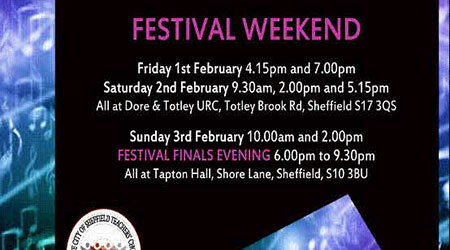 The Festival is sponsored and administered by The City of Sheffield Teachers' Choir. In 2016 Lesley Garrett became our Patron. We are affiliated to the British and International Federation of Festivals for Music, Dance and Speech of which Her Majesty the Queen is Patron. The Festival is also a member of The Yorkshire and Northern Lincolnshire Regional Forum of The British and International Federation of Festivals for Music, Dance and Speech.